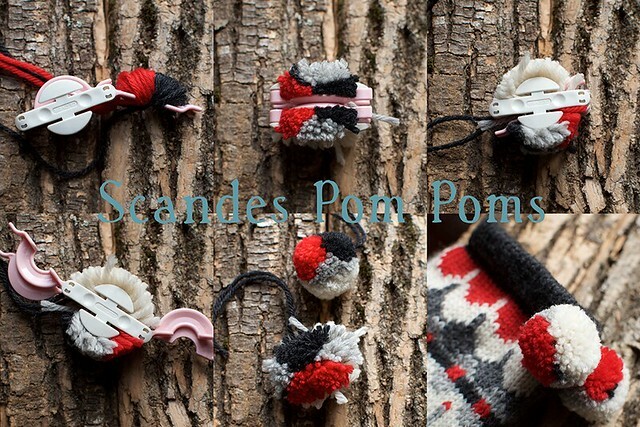 My new pattern, Scandes Mittens, has some optional pom poms that I had a great time making. I used the Clover 1 3.8″ pom pom maker (the pink one in the small set) and yarn left over from the mittens. 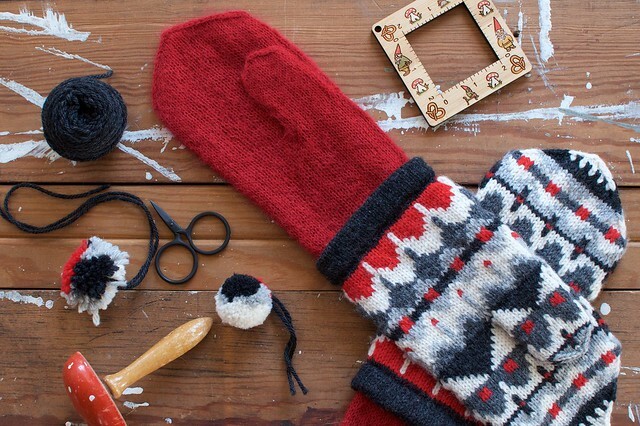 You can use pom pom makers that are two disks, as well, including homemade ones. Colors are up to you! To make the pom poms, I started on one side with a layer of one color on the left and and another on the right, both in rounded hills, meeting in the middle. I then went in and created a central rounded hill in a third color, totally filling up that side of the pom pom maker to bursting. I filled the other half with the natural yarn to bursting, cut all the threads, and tied the pom pom off. You end up with a pom pom that’s one half happy round shapes and the other half a solid color. So pretty! Trim to neaten and try to control yourself so you’re not trimming them down to nothing, which is something I have a hard time not doing. I leave enough of a tail to tie them on with a bow on the inside, double knotted, so they can be removed for washing the mittens. 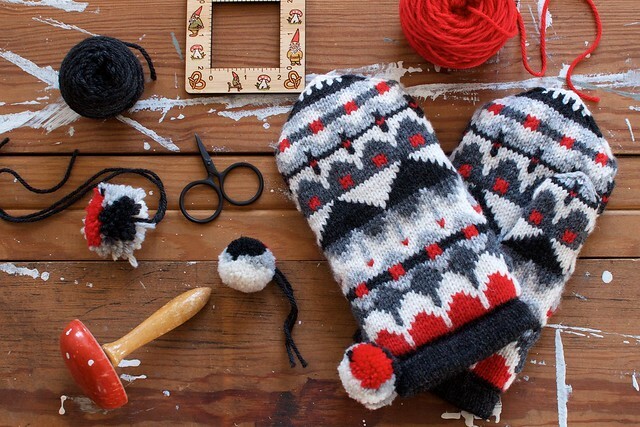 Love these mittens. I’ll be making a pair for my sister. This is just GORGEOUS. I am still too afraid to tackle multi-colored patterns!